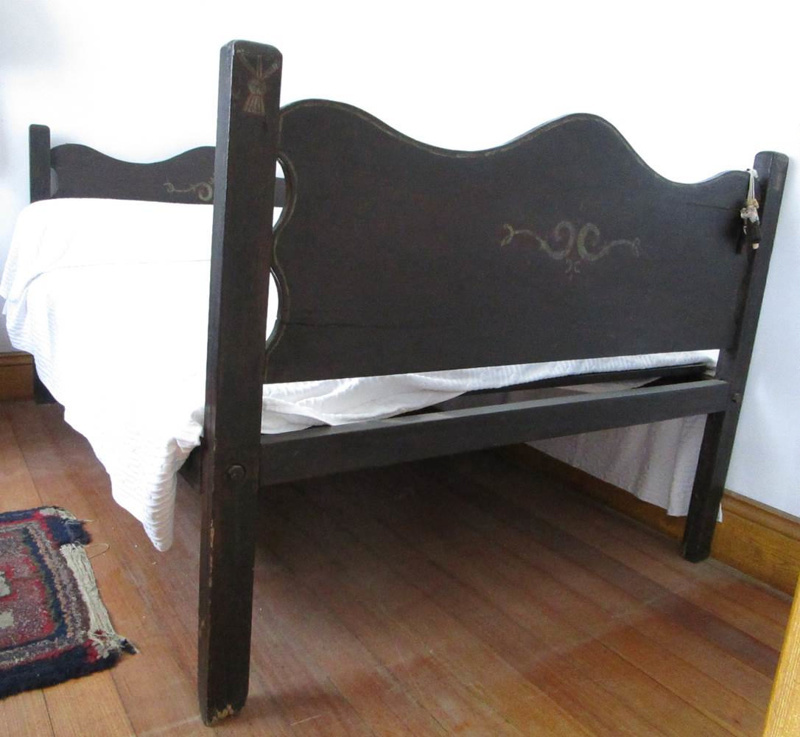 About this objectRare Australian painted bed. Painted design in middle of the head at both ends. Painted tassels on either side of ends. Early Australian. A primitive copy of a sophisticated low poster. The end boards are the most important detail with their original hand painted scrolls. Rails appear to have been modified, slats appear to be of later date, bolts are new.